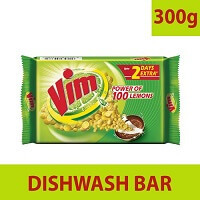 Vim Dishwash Bar has become a household name today, owing to its powerful cleaning formula that removes even the most stubborn grease stains from your crockery and cutlery. 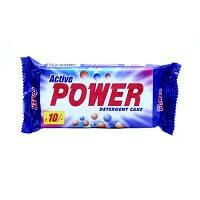 This bar is endowed with the efficiency of 100 lemons, and hence cleans your dishes, bowls, and spoons in seconds. The base of the bar features a very exclusive plastic coating that doesnot allow it to become soggy soon. 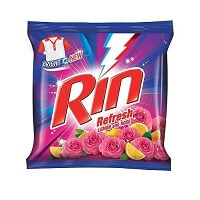 This way, Vim Dishwash Bar lasts for a very long time and you Donot need to use much too. 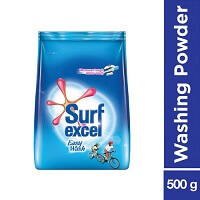 Though the soap is hard on stains and grease, it is gentle on your hands and doesnot make your skin harsh. 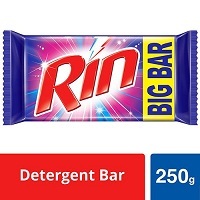 After washing with this bar, your dishes will exude a lemony fragrance, which is refreshing and hygienic. You can safely use Vim bar on stainless steel, bone china, porcelain or plastic crockery and cutlery. 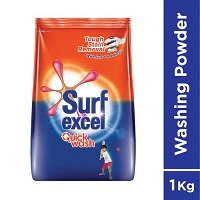 This set of 3 bars is a very economic buy and can meet your washing needs for a very long time. 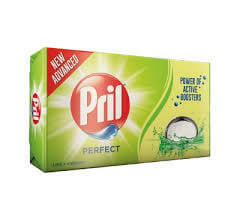 For gentle washing, you can use nylon scrubs with this soap. 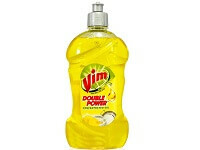 And for stubborn stains, you can apply a bit of Vim bar on a steel scrub and then clean your dishes. Store the bar is a soap case and keep it a little away from the sink tap, so that it doesnot get wet too much. This way, it will last longer.